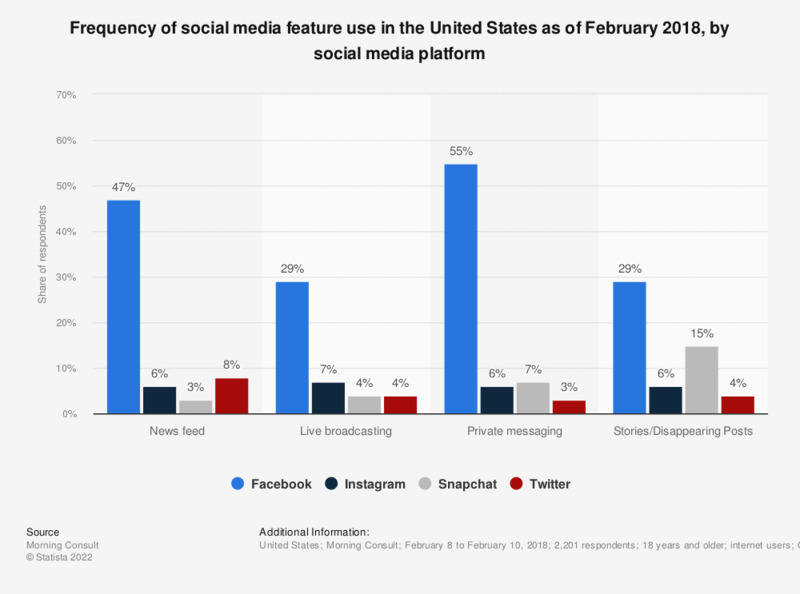 This statistic presents the frequency of social media platform feature usage in the United States as of February 2018. According to the results, 47 percent of surveyed internet users in the United States stated that they preferred to use Facebook for news feed feature, while in comparison only six percent stated similar preferences in use for Instagram. Question: "Which of the following social media platforms do you prefer to use for the following features? News feed, Live broadcasting, Private messaging, Stories/disappearing posts"
Do you share your holiday photos on Facebook?